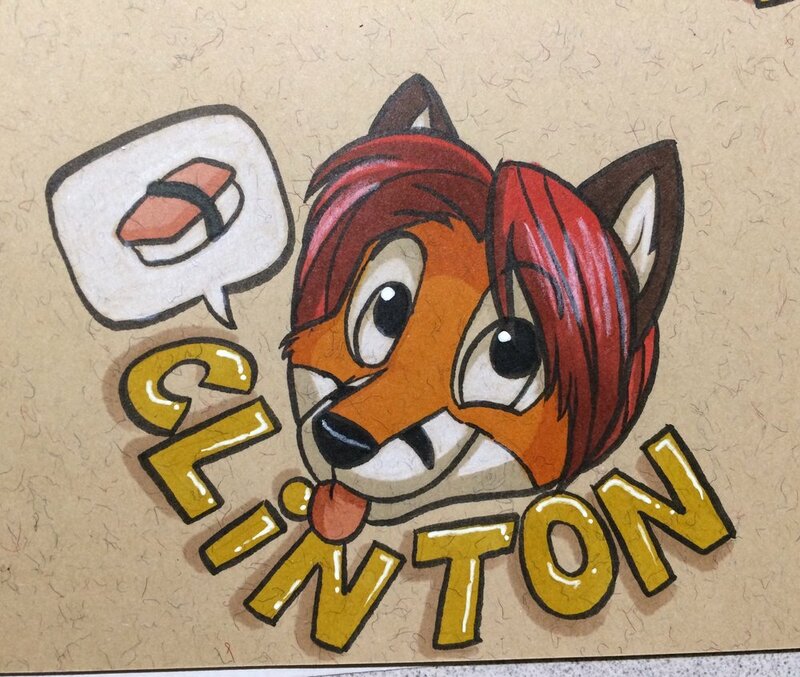 These Treat Badges are another popular badge style. They're round in shape and measure around roughly 3"x4". They are colored with markers, black ink, white color pencil and gel pen on recycled paper. They each show your character's face with their tongue sticking out and a talk bubble of their favorite treat. All badges come laminated, punched, and clipped ready for immediate use.